Choose what kind of LoL boost and ELO boosting you want! No matter how good you are, there is still a possibility that you won’t level up. If your teammates are losing consistently, you might remain stagnant in your rank. When you have a higher rank, you will have an opportunity to fight with some of the best LoL players. As such, it’s important to improve your rank as much as possible. When you buy from us, you will get your LoL boost fast! League of Legends is a fast-paced game with the same gameplay mechanics and concept as DOTA. LoL has astounding graphics and some of the unique and entertaining heroes in MOBA games. Rank faster through our boosting packages! Apex Legends boosting is available for those who want to maximize their wins, kills, and levels! 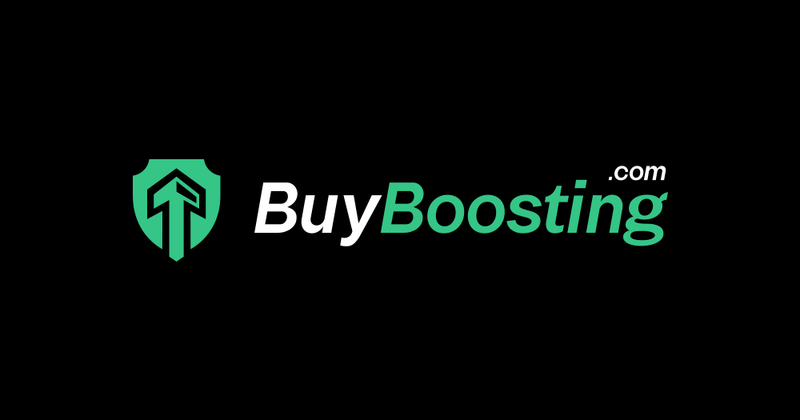 Our boosters will either play on your account or with you to help you achieve your goals. Apex Legends is the Battle Royale mode for Titanfall. Your account is accessed only by the booster doing the order. You can talk to your booster to schedule the play hours. All information you provide is kept confidential. We also use the latest SSL security to maximize protection. Buy a package today and see your stats improve! Hearthstone boosting is perfect for those who want to improve their rank quickly and easily. The online card game has a large fan base. Players have to use wit, diversity, and strategy to defeat their opponents. Your performance can affect your ranking. If you lose consecutively due to poor performance, you will be demoted to the lowest rank and lose your acquired stars. Reach the Legend or Innkeeper rank with our boosting services! Expect guaranteed rank boosting and quick delivery from us! Our Legend level players have the time and skills set required to boost your rank. Our boosting packages are very affordable, and our customer support team is always ready to help. Improve your adventure with our Fortnite boosting service! Fortnite is a 3D co-op survival sandbox game where players have to forage resources in the morning and defeat waves of zombies at night. The game’s vividly colored graphics makes it more exciting to play. Players also need to gather resources in the morning and set traps, create weapons and build forts to fend off enemies at night. Fortnite has a PvP mode that allows up to 10 players to participate at once. Choose from our Fortnite boosting services and bring your stats to a whole new level! Achieve the highest skill tier with our Overwatch boosting service! Our Overwatch boosters have the experience, set of skills and time required to improve your stats quickly and easily. Do you want to enhance your experience by playing with a skilled booster in Duo Queue? Learn new play styles and techniques from your booster! You can also let your booster play on your account until he hits your preferred Skill Rating. Schedule the play hours, and we will do the rest for you! Improve your rank in no time by using our Rainbow Six Siege boosting service! Increase your stats and accomplish your goals fast. Expert Rainbow Six Siege players will boost your account. These players are monitored to ensure that your game character doesn’t lose anything. We are available 24/7, so you can reach us anytime. Rainbow Six Siege has intense gameplay that involves asymmetrical battles between the attackers and the defenders. Online shooters are equipped with close quarter fighting styles, short rounds, and small health bars. With our boosting service, you can enjoy more wins. With our Rocket League boosting service, you can boost your ranking without wasting a lot of time. Our professional boosters will handle your account and help you achieve your gaming goals. Rocket League was first launched in July 2015 for PlayStation 4 and Microsoft Windows. Players have to ram a large soccer ball into the net of the opposing team using rocket-powered matchbox cars. Up to 8 players can participate in matches. Players can customize their cars with hats, decals, flags, and colors as well as unlock new vehicles to drive as they play. You can enjoy all these with our Rocket League boosting service! Achieve the highest possible win rate with our CS: GO boosting service! CS: GO is an online first-person shooter and tactical game. If you don’t have time to level up your character, you can get our boosting service and let our expert boosters do the job for you. The booster working on your account can do classic rank boosting or duo boosting. Your privacy is maintained, so you don’t need to worry about anything. We won’t sell or share your info with any third party. Our PUBG boosting service is available for those who want to improve their win rates. We have expert PUBG boosters who have the skills set and tools required to achieve your dream rank quickly and easily. PUBG is a stealthy and tactical shooter game that requires good positioning and weapon skills to win games. Maybe you won't get extra wins or compete in the leaderboards. Perhaps you are a new player, and you want to increase your stats. Our PUBG boosting service is just right for you. We have solo, duo and squad options, so take your pick! Dota 2 boosting can help you unlock cool items and improve your rank so that you can fight with some of the finest players on the battlefield. The higher your rank is, the more items you will be able to get. Dota 2 has a matchmaking feature that matches seasoned players with newbies to create a level battleground. If you want to improve your stats quickly, you can always get our Dota 2 boosting service! You don’t need to work hard to achieve your gaming goals faster. We’re available 24/7, so call us anytime. When you play League of Legends, you and your colleagues or teammates are compelled to cooperate as a group to achieve objectives and complete certain tasks so as to achieve triumph over the restricting or opposing LOL players. It is imperative to have collaboration with your partners or else your game can rapidly go downhill. LOL is an extremely exceptional game, and an entire plethora of feelings can go through one's mind while playing this game so it’s easier to get furious or frustrated. Nevertheless, it’s not worth it to just take all these feeling and emotions out on your team members. You can remove lots about cooperation and building connections from a battle game like this and then apply this into your everyday life. Usually in work settings, you need to cooperate as a group with others to achieve a specific objective, undertaking, or task. You might not agree with everything your teammates are suggesting or saying, yet instead of blowing up on them and causing scenes, you all can cooperate as a group and locate the most ideal solution that will work for your given circumstance. That works in real life and also works on Summoner's Rift. Energizing your colleagues together and being positive will be increasingly productive over the long run results will certainly show. Rising up in ranks and moving to another division in League of Legends is energizing, and it unquestionably feels great to see that all your diligent work has yielded incredible outcomes. When you see yourself exceeding expectations and climbing to precious diamond, it’s easier to build up ego and think that you are superior to anyone else. In any case, that doesn't really improve you as a player in League of Legends, nor a superior individual, in actuality, when you credit it to a work or school circumstance. BoostRoyal isn’t endorsed by Riot Games and doesn’t reflect the views or opinions of Riot Games or anyone officially involved in producing or managing League of Legends. League of Legends and Riot Games are trademarks or registered trademarks of Riot Games, Inc. League of Legends © Riot Games, Inc.